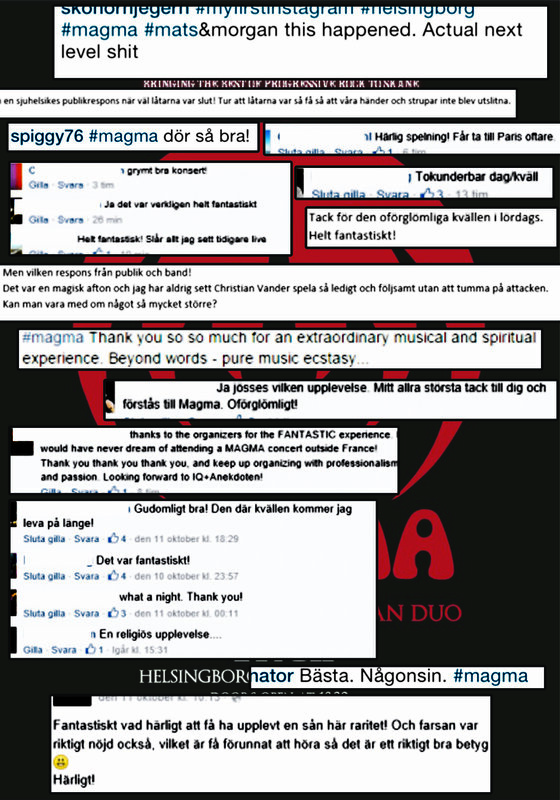 The completely unique cult band MAGMA (France) returns to Sweden! 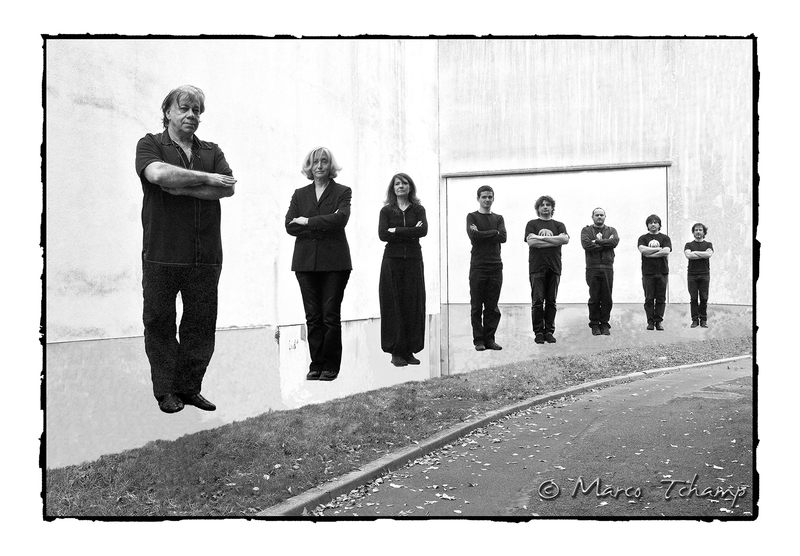 In case you wonder, Magma was founded in Paris in 1969, when drummer Christian Vander put the collective together with the purpose to make sure that the creative spirit of the deceased John Coltrane could carry on. 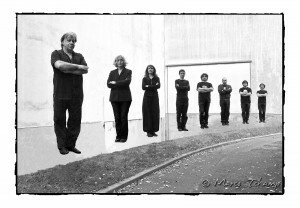 Since then the band has created music that mostly is centered around a highly ambitious conceptual mythology with a sci-fi-ish story about a people leaving earth for the planet Kobaïa. Therefore we can expect a few, but looooong suites in Malmö. Remember – this is NOT One Direction! The lyrics are mainly sung in Kobaïan – a fictive, phonetic language that isn’t always translatable. The music is based on Christian Vander’s energetic and innovative jazz drumming, Philippe Bussonet’s driving fuzz bass and Carl Orff like operatic choir arrangements from Stella Vander, Isabelle Feuillebois and Hervé Aknin. The repetitive and hypnotic riffs are accentuated and developed with the help of vibrafonist Benoît Alziary, guitarist Rudy Blas and electric pianist Jérôme Martineau. 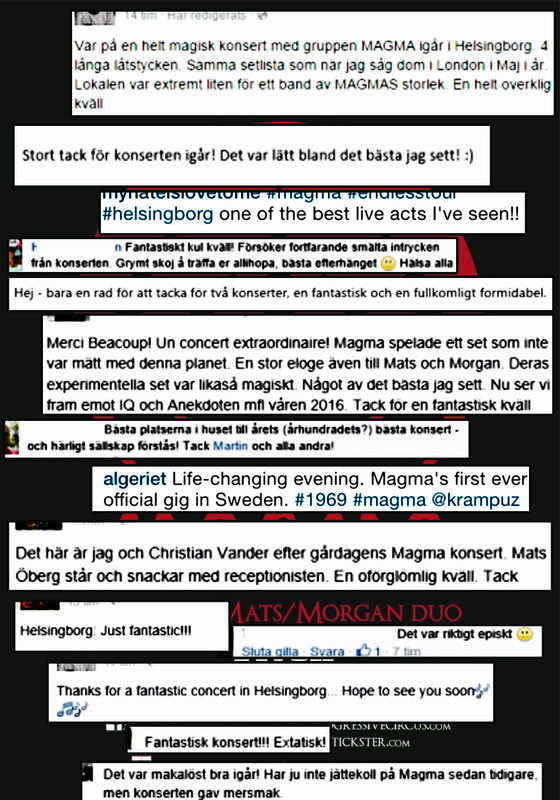 All in all, MAGMA gives a completely unique live experience that may never occur on Swedish ground again. The concert is a Progressive Circus event, very proudly co-arranged by Jazz i Malmö and Kulturpunkten.